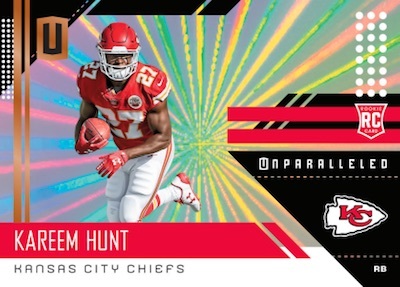 2018 Panini Unparalleled - Football Card Checklist	Overall rating:	3	out of 5 based on 1	reviews. 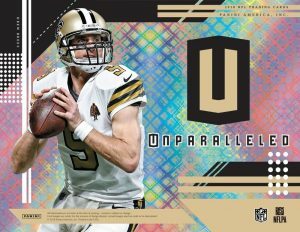 2018 Panini Unparalleled Football returns for its second year. 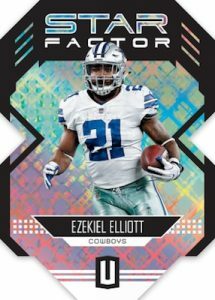 The product divided opinions last season when they released a rookie class that included current players and retired players who never had an actual rookie card. 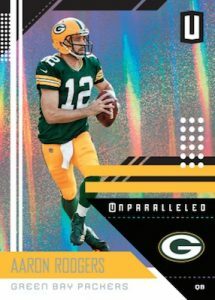 Despite criticism over this, Unparalleled has done the same again this year. 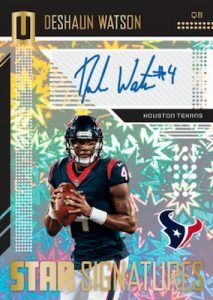 Aside from the base rookie list, Unparalleled offers a mix of autographs, memorabilia, inserts, and parallel cards. 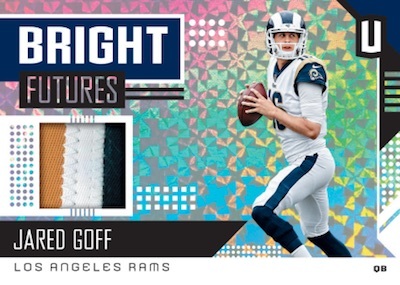 Each box of this shiny release will offer 2 autos and a memorabilia card. 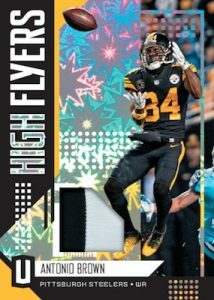 For a full team-by-team breakdown of all the hits visit Breakninja.com. 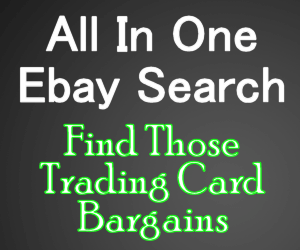 Also be sure to check out Breakninja’s new forum page for a place to chat, trade, and showoff sports cards of all sorts.